FRANKFURT -- European car sales in September fell 2 percent in only the second monthly drop this year as concerns about Brexit among UK consumers offset gains in France, Italy and Spain. 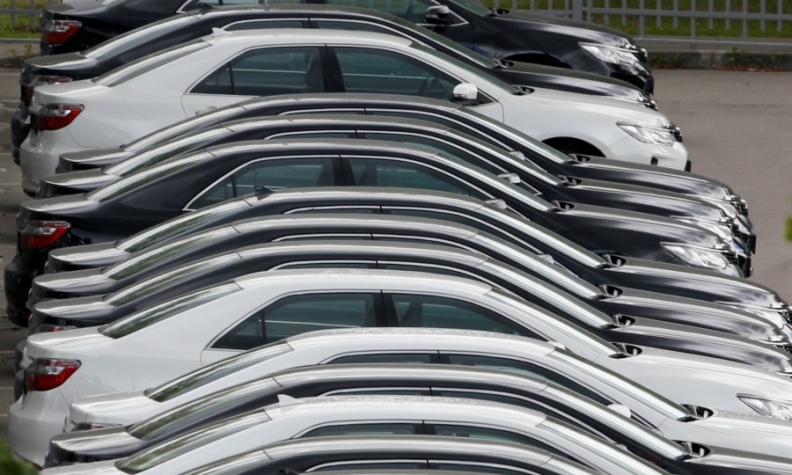 Registrations declined to 1.47 million vehicles in EU and EFTA markets, industry body ACEA said Tuesday in a statement. Figures were dragged down by a 9.3 percent slide in the UK, the region's second-biggest market. Top-ranked Germany slumped 3.3 percent, burdened by one less business day than a year ago. Nine-month sales in the region rose 3.6 percent to 12 million. PSA Group and Ford Motor were among automakers whose sales fell in September while Alfa Romeo and Seat had double-digit gains. Combined sales of PSA brands declined more than 5 percent, with Peugeot down 1.1 percent and DS down 28 percent. Citroen's volume bucked the downward trend with a 1.4 percent rise. Monthly sales at PSA's newly acquired Opel/Vauxhall brands were 92,448. Ford sales dropped 13 percent, hit by the weak UK market. Volkswagen Group saw its registrations slip 1.1 percent, weighed down by the VW brand’s 3.2 percent drop. Seat's volume increased 10 percent, Skoda sales were up 3.6 percent and Audi sales fell 3.8 percent. Porsche's volume declined 9.5 percent. Sales of BMW Group vehicles fell 2.1 percent as core brand volume slipped 1.1 percent and demand for the Mini brand dropped 5.4 percent. Rival Mercedes-Benz's brand registrations fell 0.1 percent, while sales of Smart vehicles slumped 12 percent. Fiat Chrysler Automobiles' sales dropped 1 percent with Fiat brand's volume declining by 2 percent. Buoyed by new models, Alfa Romeo saw sales rise 16 percent. Renault Group sales were flat. Asian carmakers fared better last month, with Toyota’s sales up 1.9 percent and Nissan recording a 3.3 percent gain. Hyundai rose 2.1 percent and affiliate Kia jumped 6.5 percent. • Download PDF, above right, for sales by group, brand and individual markets. The UK contraction was the sixth straight monthly decline in the market. UK sales in September are normally strong because of a rush to secure new license plates, which can help resale value. The UK's weakness knocked carmakers with deep ties to Britain including Ford, the UK's best-selling brand, and Vauxhall. The pullback by British buyers amid the weak pound and stalled Brexit negotiations came as the British Chambers of Commerce downgraded its medium-term economic growth outlook in early September. PSA Group said Monday that it's cutting 400 jobs at its plant in Ellesmere Port, England, which builds Opel/Vauxhall Astras, to adapt production to declining sales. While sales dropped in the UK and Germany, other markets in the top five gained, with France rising 1.1 percent, Italy jumping 8.1 percent and Spain up 4.6 percent.